– Cover the tofu block with the kitchen towel and gently apply the pressure to get rid of the excess water. Make sure the tofu is dry as much as possible. Then cut it into chunky cubes and put the tofu chunks in a mixing bowl. – Sprinkle the tofu with salt and pepper. Then, toss until the tofu is well covered with the seasoning. – Put one tablespoon of coconut oil into the non-slip frying pan, turn on the hob to high heat and wait until the oil is hot. -Transfer the seasoned tofu into a pan. Usually, it will take about 3-5 minutes to fry on each side to create a crisp and golden colour. Next, drizzle the tofu with honey and sesame seeds, toss to combine. Then transfer the tofu chunks onto the kitchen towel. Set a side. – Put the coconut oil into the same pan. Then add the red onion, garlic, and red chilli. Wait until the oil is infused with herbs (approx. 1-2 minutes). Then add the vegetable, light,dark soya sauce, sugar and water. Stir-fry until the vegetables are cooked.Lastly, add a pinch of salt and pepper. -Transfer the vegetables onto the serving dish. Then top with the lovely crispy yet silky tofu. Serve immediately with steamed Thai jasmine rice. 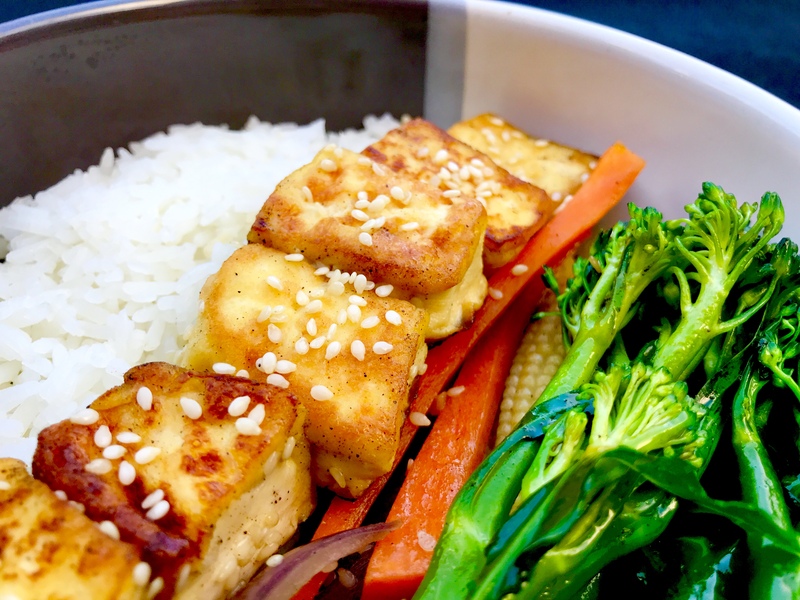 – Make sure that you use the kitchen paper to dry all the excess water of the tofu prior to seasoning. 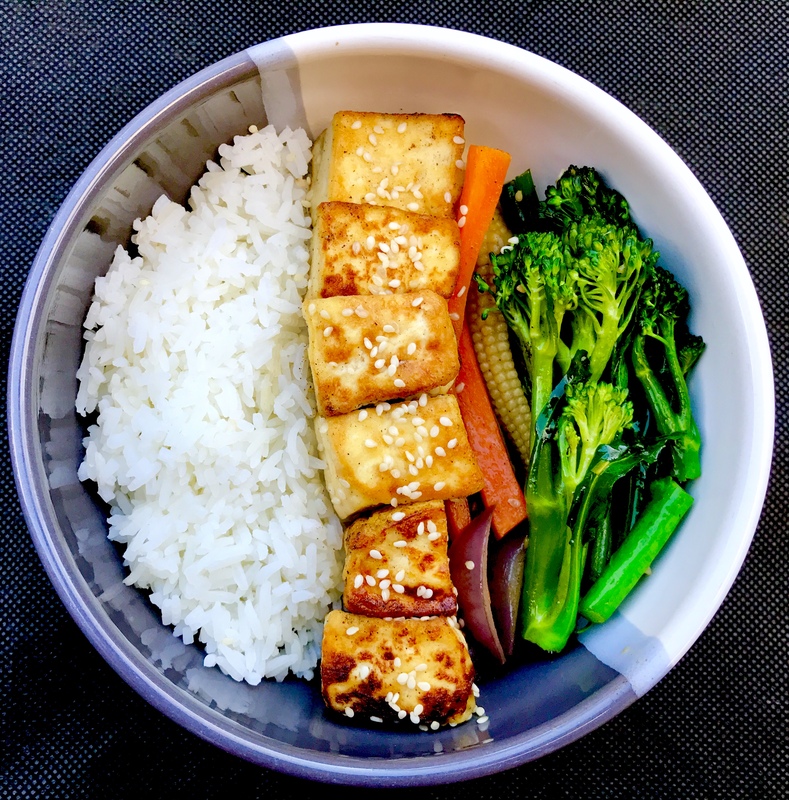 – I often have Salt And Pepper Tofu With Veggie Stir-Fry (Vegan) with teriyaki or sweet chilli dipping sauce to intensify the whole dish.